We are excited to announce that going forward we will feature stories from our friends at CityMD Women's Racing as part of the To Be Determined Journal at ToBeDetermined.cc. Building on the past five years of to our team race reports, bikepacking journeys and generally good times on the bike we felt it was time to shine a spotlight on female cyclists, as both racers and cycling enthusiasts. For those of you not already familiar with CityMD Women's Racing, an introduction: CityMD Women's Racing has been a longtime sub-team of the CRCA - 6 years and counting. 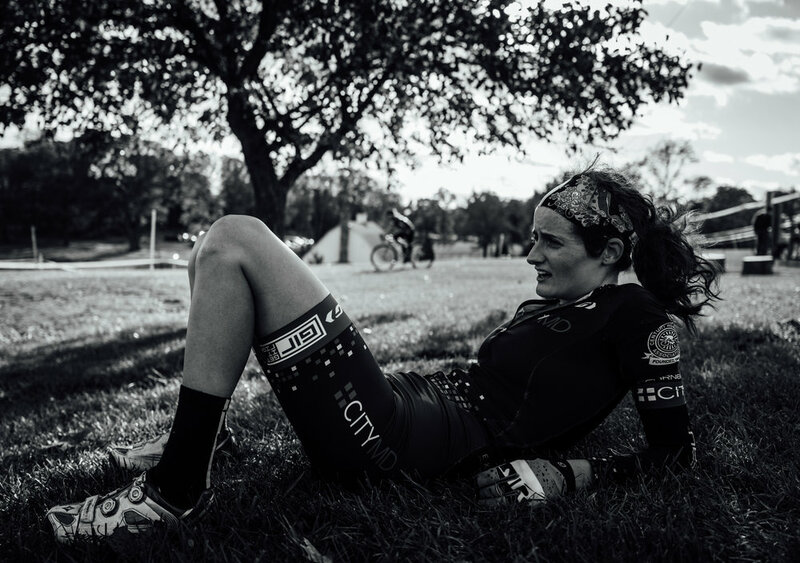 The CityMD Women’s Racing Team is home to 10 Category 1, 2, and 3 women who race primarily on the road, with some dabbling in other cycling disciplines. Off the bike they are successful and intelligent professionals spanning a wide range of industries such as academia, marketing, journalism and finance. Their off the bike success mirrors their accomplishments on the road, including: CRCA Team Cup Champions and Jim Boyd Winner in 2015, over 50 top tens in both 2015 and 2016 including 22 podiums last year, domestic elite team status, and participation in the professional Philly Parx Casino in 2014. "most importantly, we love riding together, going on adventures and road trips, emailing nonstop every day, and sharing the grand adventure of cycling." We look forward to bringing their new and differentiated perspective to the To Be Determined Journal. Stay tuned for many great stories to come from the ladies of CityMD Women's Racing. CityMD Urgent Care has been the team’s title sponsor for 4 years, and have recently announced their return for 2017. The team is excited to expand the mission of community-based health by advertising the importance of living a balanced life. CityMD is proud to support the women’s cycling team as their mission for high speed competitive value and community based health aligns with the cycling community and the team’s overall purpose. Established on the pillars of quality, speed and exceptional experiences, four ER doctors formed CityMD in 2010 as an alternative to overbooked primary care physician visits and expensive, crowded emergency rooms with long wait times. CityMD Urgent Care serves the greater New York City community and beyond by providing quality medical care through convenient access and exceptional service. CityMD currently has more than 60 office locations with over 300+ medical service providers. CityMD provides essential access to healthcare through a diverse staff that reflects the communities where they work and live, so patients feel at home when they visit. Their practices take most major insurances, as well as managed Medicaid and Medicare, in order to assist as many people in as many neighborhoods as possible. GIR, aka Get It Right, was founded by team-member and mother of 2 (soon to be 3), Sam Rose. She launched her company on Kickstarter and is currently getting everything right through re-invention and smart design. What started as building the perfect spatula has grown to include a whole host of redesigned household tools and appliances, from ladles and spoons to a brand new state of the art coffee grinder. The team is happy and thankful to have loyal and longstanding sponsorship from a true friend. Garneau Sports has partnered with CityMD Women's Racing for several years and has proved year in and year out to be an outstanding provider of custom and retail kit for the team. With a recent invigoration to revamp women’s cycling wear to be just as competitive as their men's counterparts, Garneau has outfitted the team head to toe with women’s physique in mind. You can find the team out on the road in bold black and red kit with their signature square logos looking strong and fast.